PT Bank Central Asia Tbk - BCA or referred to as "Bank BCA" is a leading privately-owned commercial banks which has branches spread all over Indonesia. As of December 2016, BCA has 1,182 outlets and 17,081 proprietary ATMs throughout Indonesia. Bank BCA also supported by 7 key subsidiary companies; namely PT BCA Finance, BCA Finance Limited, PT Bank BCA Syariah, PT BCA Sekuritas, PT Asuransi Umum BCA, PT Central Sentosa Finance and PT Asuransi Jiwa BCA. The Company was first established in 1955 in Semarang, as NV Perseroan Dagang Dan Industrie Semarang Knitting Factory. Later in 1957 the Company relocated its head office to Jakarta. In 1975, the Company changed its name to PT Bank Central Asia. In 2000, the Company conducted its initial public offering (IPO) on the Indonesia Stock Exchange (IDX) and its shares are traded under stock code BBCA. As of December 2016, the Company is 47.15% owned by PT Dwimuria Investama Andalan and 52.85% by public. 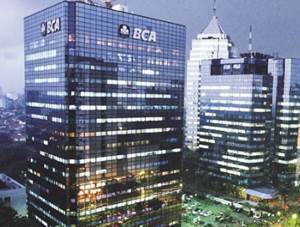 Bank BCA has 7 direct-subsidiaries; PT BCA Finance, BCA Finance Limited, PT Bank BCA Syariah, PT BCA Sekuritas, PT Asuransi Umum BCA, PT Central Sentosa Finance and PT Asuransi Jiwa BCA. In 2016, PT Bank Central Asia Tbk has shown significant performance improvements. According to PT Bank Central Asia Tbk Annual Report 2016 as cited by JobsCDC.com, BCA posted total net profit of Rp 20,606 billion throughout 2016. This amount is an increase of 14.35% over the same period in 2015 amounted to Rp 18,019 billion. Referring to its annual report, BCA controls third party funds of Rp 530.13 trillion and maintains assets worth of Rp 676.73 trillion. SMA / SMK (minimum average report card of 7.0 in 5th and 6th semester). D1 - D3 to S1 (minimum GPA of 2.50). Minimum age of 17 years and maximum 25 years old. Friendly and able to communicate well. Never been involved in drugs and other law violations. Willing to be placed in all branches of BCA in the city selection area. Passed in BCA selection stage. Willing to not get married during the apprenticeship process. JobsCDC.com now available on android device. Download now on Google Play here. Please be aware of recruitment fraud. The entire stage of this selection process is free of charge. PT Bank Central Asia Tbk - SMA, SMK, D1, D3, S1 Magang Bakti Program BCA May 2017 will never ask for fees or upfront payments for any purposes during the recruitment process such as transportation and accommodation.